Early Music Vancouver (EMV), in collaboration with the Pacific Baroque Orchestra (PBO), present Festive Cantatas: J.S. 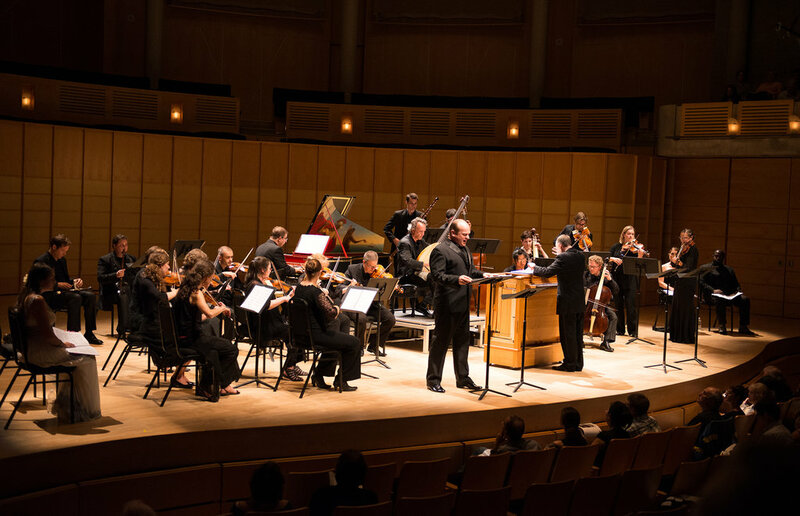 Bach Magnificat at the Chan Centre for the Performing Arts at UBC, December 18, 2016 at 3pm. Hailed as one of J.S. Bach’s greatest masterpieces for choir and orchestra and written for Christmas Vespers in 1723, this performance includes four rarely heard and delightful inserts that illuminate the Nativity story. Juno Award-winning Music Director Alexander Weimann leads the Pacific Baroque Orchestra and five internationally-renowned guest soloists, three trumpets, and timpani in this annual seasonal celebration. The programme also includes Telemann’s concerto for three trumpets in D major (TWV 54), and Bach’s beloved Cantata 140 (Wachet auf).